Shorty from Bust a Groove! One of my fave character and game ever, and even now some of its songs are in my playlist. Maaan, it’s like I didn’t improve at all for the last 13 years compared to the last time I drew Shorty haha. Some of you might not care, but that game has influenced my art style a lot (after Ragnarok Online). 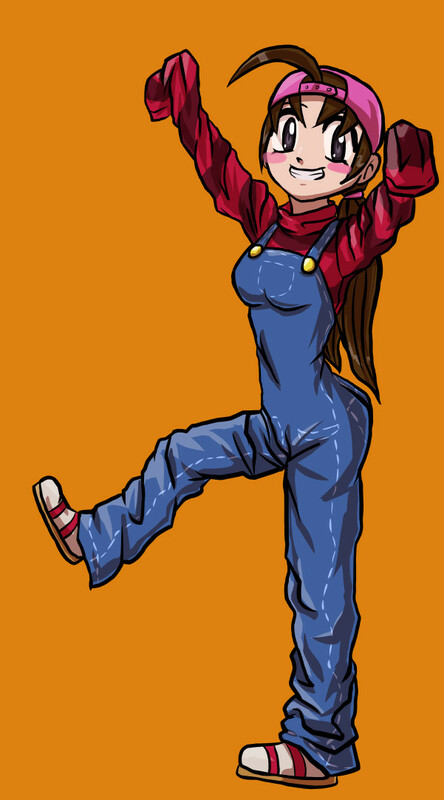 She’s also the reason why Myan was wearing overalls + twin tails before… and why I like brunettes maybe! Shoulda been for November’s fanart but I missed that, so here it is!